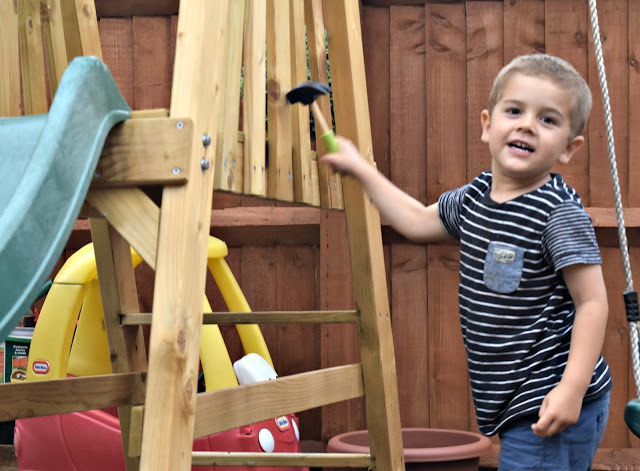 Over the past few months as part of the Play Patrol team for BigJigs, both children have had some amazing things to review. This month was equally as exciting, both love their new toys, Jack especially. 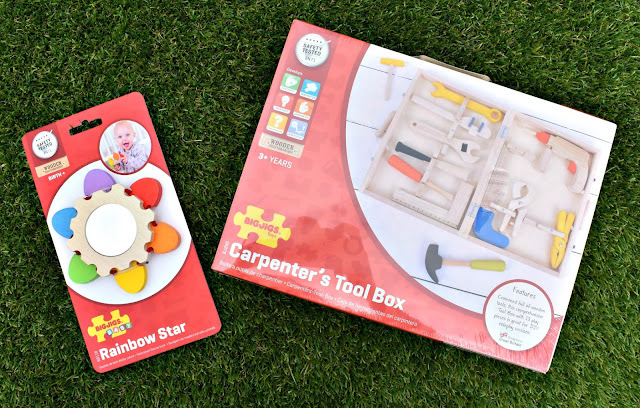 Jack received a Carpenter's Tool Box whilst Isla received a Rainbow Star. The Rainbow Star is suitable from birth and helps encourage colour recognition, dexterity and sensory development. Each of the star points are individually coloured and quite thick enabling your baby to easily grab them, each can be flipped back to reveal a mirror inside. Then you can flip them all back over to cover it and start again. Isla has loved flipping each of the star points and recognizing herself within the small mirror on the inside. She's spent ages just sat quietly playing so definitely recommended. 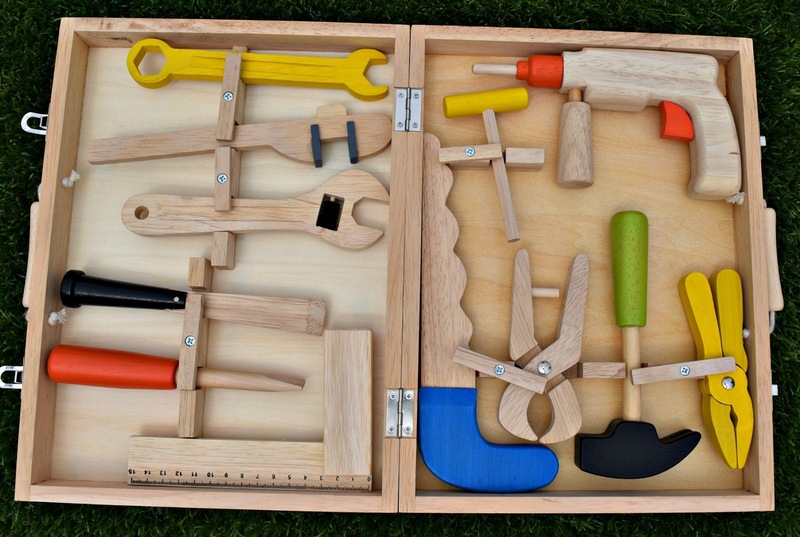 Jack received the Carpenter's Tool Box which has been a really big hit with him. 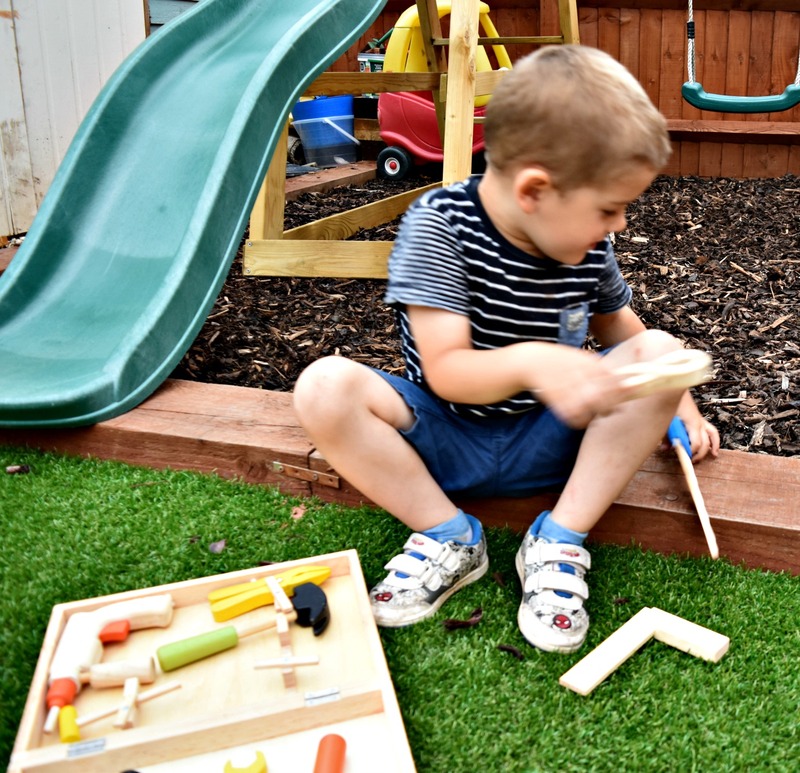 He is always asking to use the 'real tools' around the house which of course we don't allow and when we are doing work he is always keen to help so having his own set is perfect. This comprehensive set comes complete with 12 different tools and a box to store them all within. There are definitely tools for every job, and Jack has pretty much used each with his imagination to fix or build something. 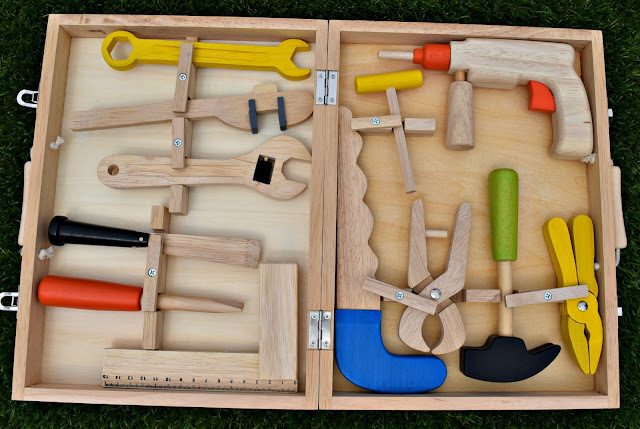 I really like the box as each tool has its own compartment in which you can store them neatly to save loosing everything. 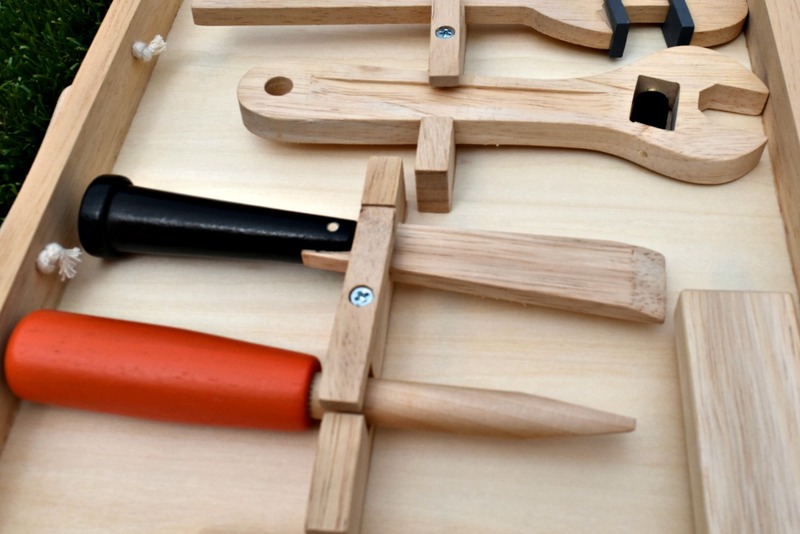 Each of the toys have been a big hit with both children and I would definitely recommend both to others. Please Note: We received these items in exchange for an honest and impartial review, all words and opinions are my own.